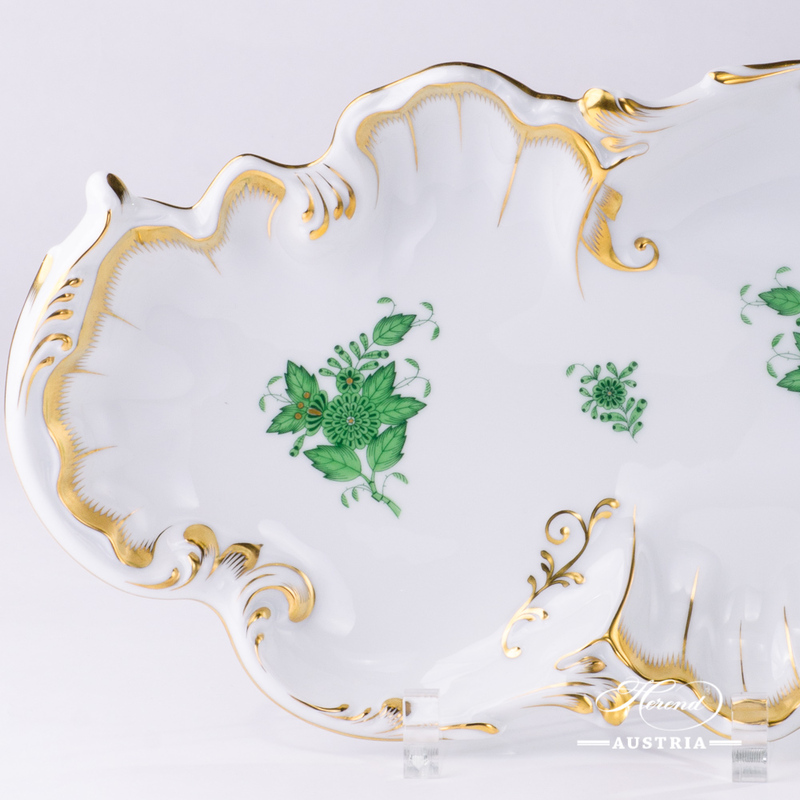 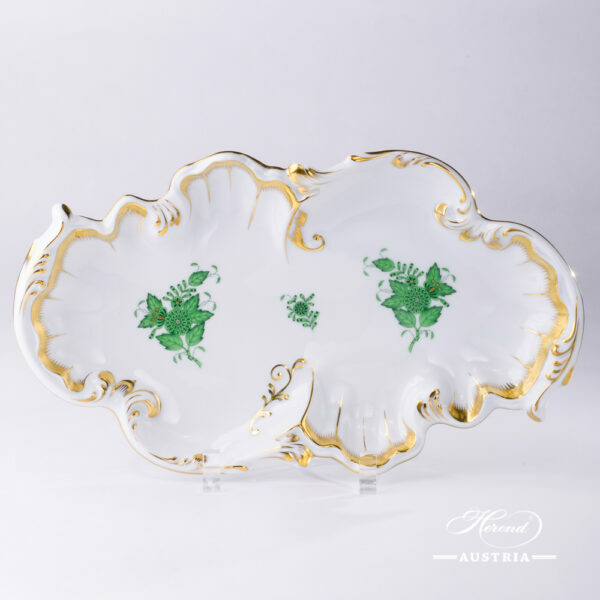 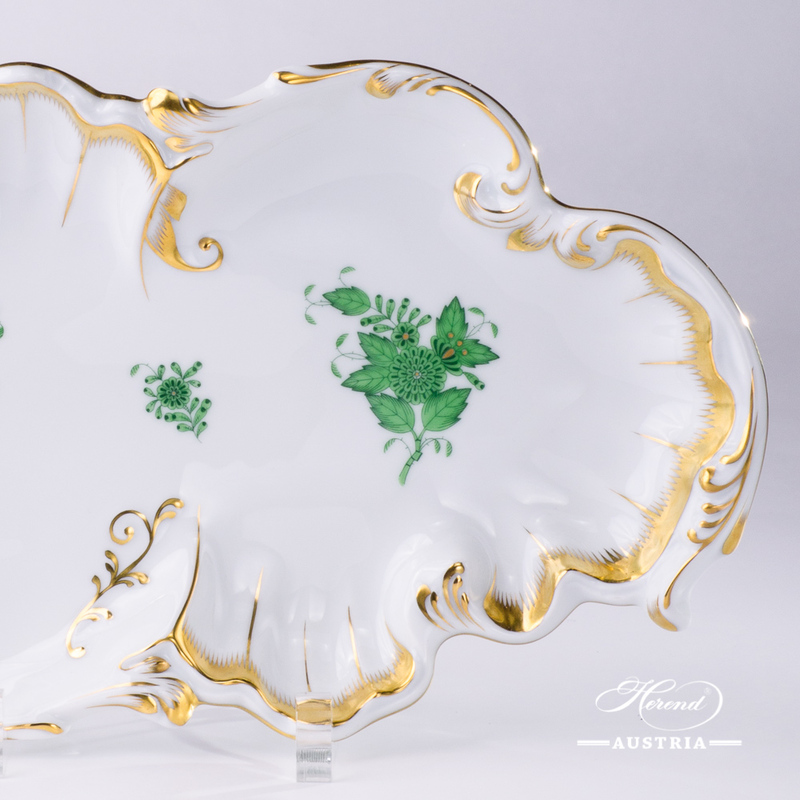 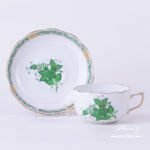 Herend Apponyi-AV Green Decor is the classical Apponyi pattern. Herend Apponyi-AV Green Decor painted with green Chinese Bouquet and Gilded edge. 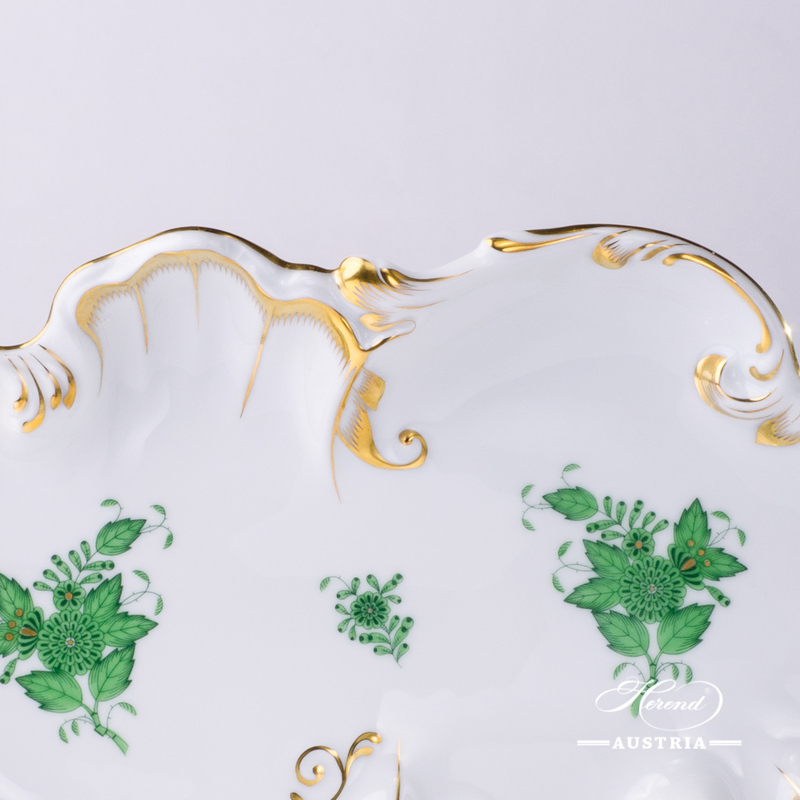 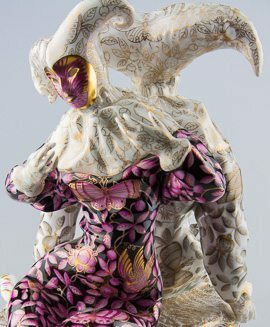 We offer this practical Rococo Dish for Tea, Coffee, Mocha and Dinner Sets. 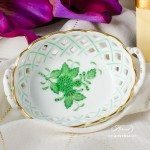 Apponyi-Green Basket with Handle - 7425-0-00 AV - Herend Porcelain 1 pc - Basket with Handle - Net Euro: 53- This Basket is available in many different motifs.